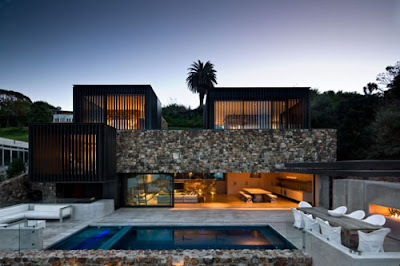 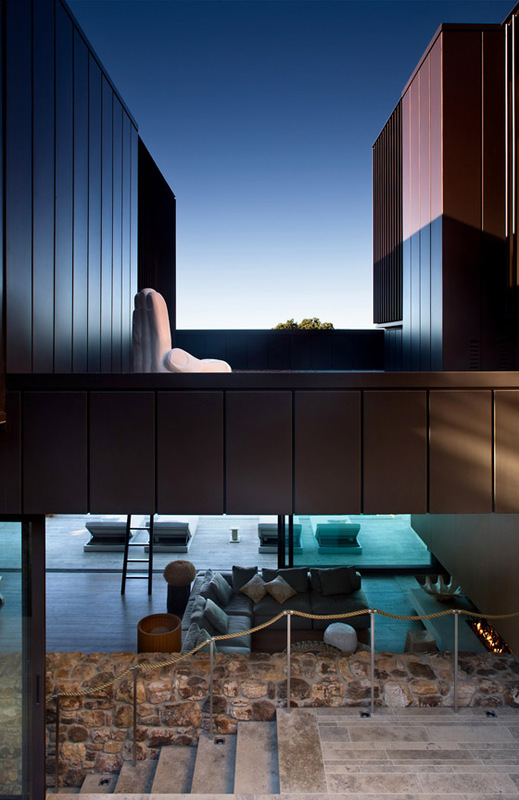 The beautiful Local Rock House, a summer residence in Waiheke Island, New Zealand, was designed by Pattersons Associates. 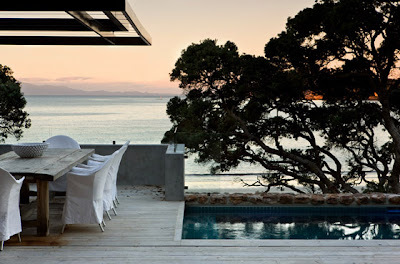 Waiheke Island is a place famous for fine vineyards with illustrious names such as Cable Bay, ManOWar and Passage Rock. 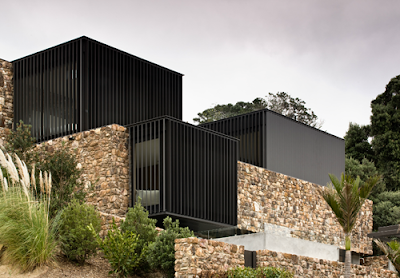 The building is made of the same secret ingredient responsible for the local wine: the rocks rich in pyrite that give the "Waiheke" wine its unique flavor and the vineyard terraces visual continuity.